Since I have quite a few pictures to show, I decided that it would be more considerate to have only small "thumbnails" on this page. However, each thumbnail is a link to a larger picture. To see the larger picture, click on the thumbnail. This one is from the apartment on 86th street in 1975. 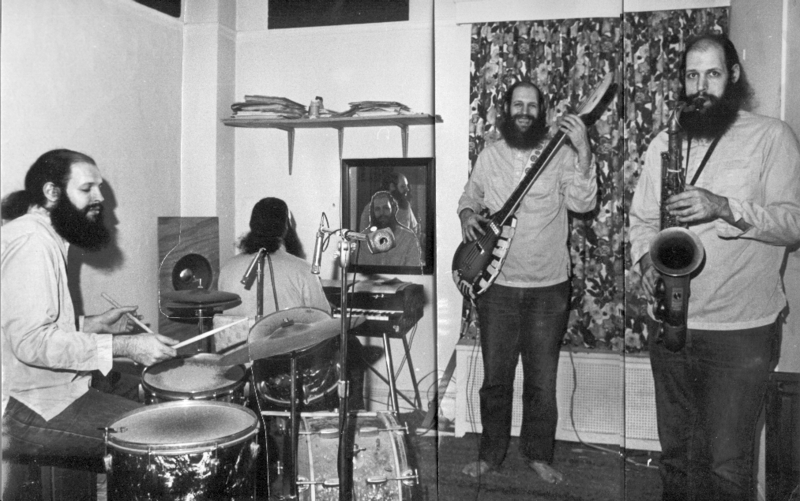 Like the other early overdub picture (from 1978), it was made from four enlargements of 35mm negatives. The prints were physically cut and pasted together to form this image. Notice the electric piano and bass. Also notice the mirror on the wall, in front of the piano. This mirror allowed the person playing the piano, who would be facing the wall, to have visual contact with the other players. In this picture, it allowed me to get my face in from the piano. When I first looked at the enlargements, I noticed that on the drum photo, there was a reflection of me in the mirror. I managed to include it with some careful cutting and pasting. This was made in much the same way as the last one, but at a friend's house. This was done in 1978. This was done in Feb, 2003. 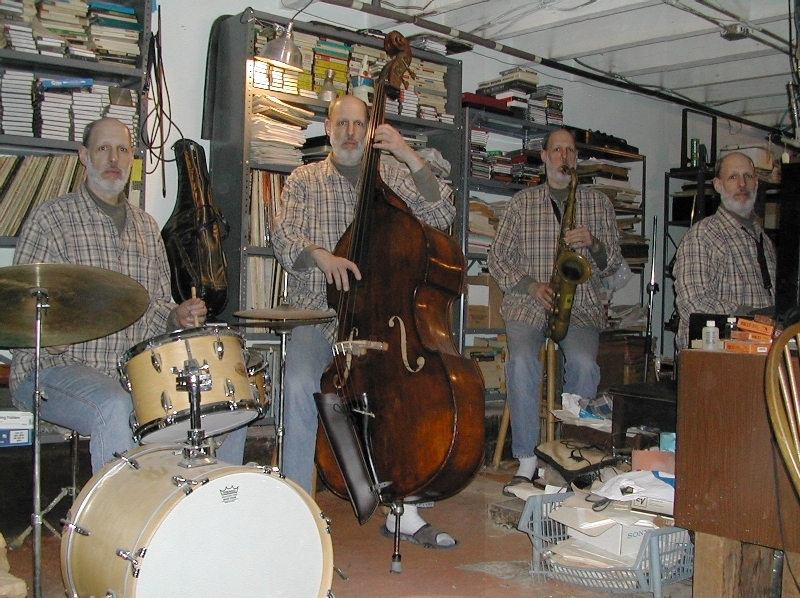 It was the test run for the album cover of my new CD, Four of Me. For this (as well as for the final cover), I took four shots with a digital camera and pasted them together in my computer. Perhaps it is now obvious why there are sheets hanging in the background of the cover shot. These are the instruments used on the CD, but the drums were several feet to the left (out of the picture) and included a low tom, which is not in the shot. This is from 1964. I was still in high school. 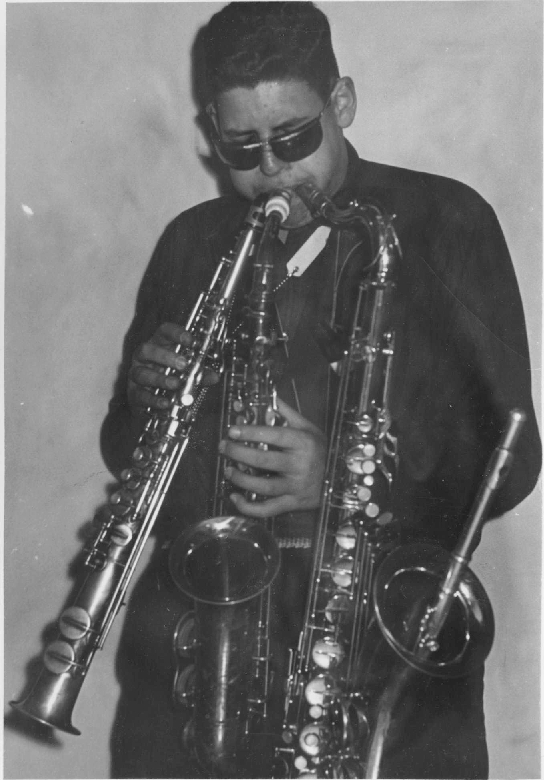 You would never guess that I liked Roland Kirk, who would later call himself Rahsaan. Photo by Neal Graham. 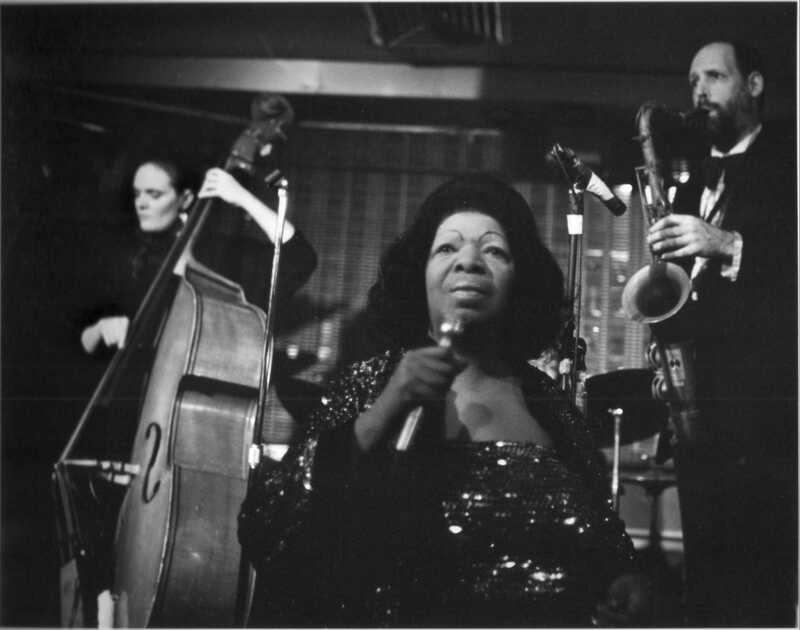 Sitting in with Art Blakey in 1964. 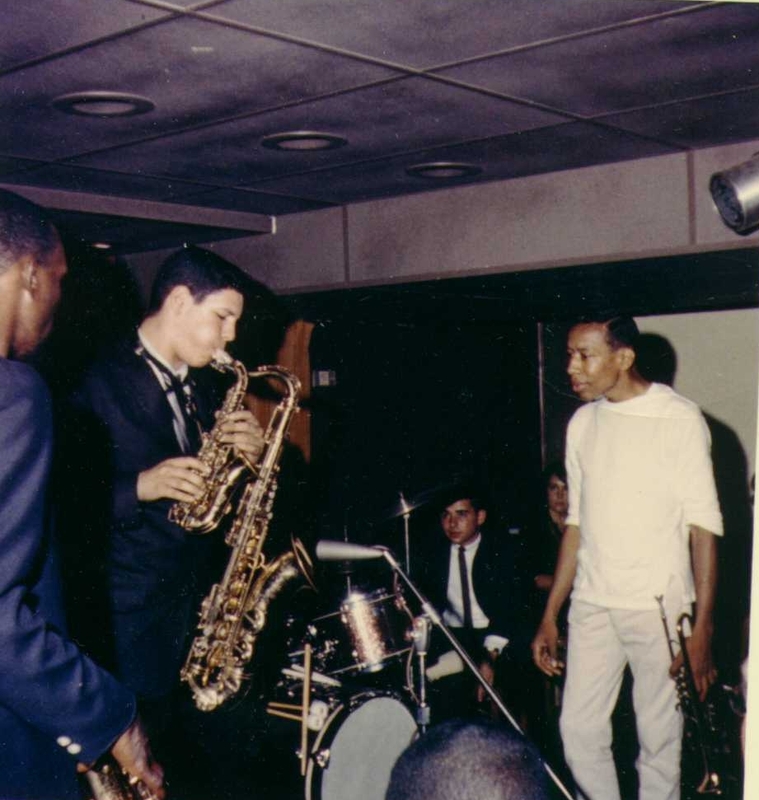 That's John Gilmore on the left and Lee Morgan on the right. Photo by Bernie Moss. 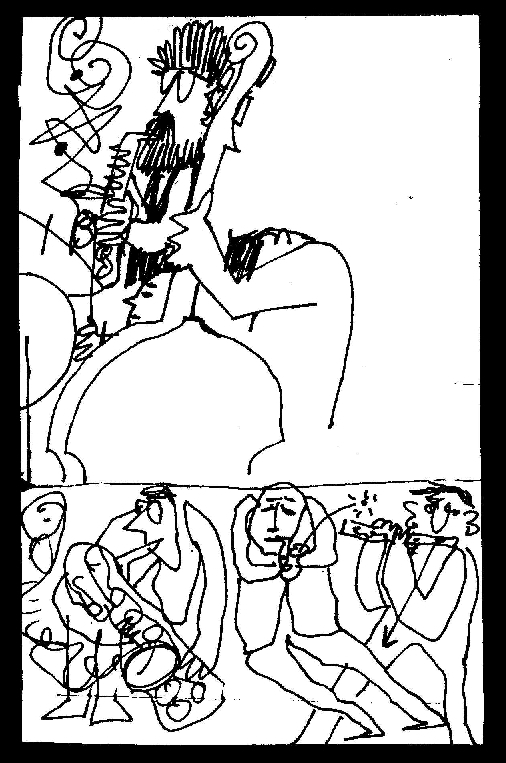 This drawing was done in 1967 by Jeremy Steig, while we were playing at a jam session. In the lower part of the picture, there is a short fellow with a large horn on the left, a tall fellow (me) with a tiny horn in the middle, and Jeremy on the right. 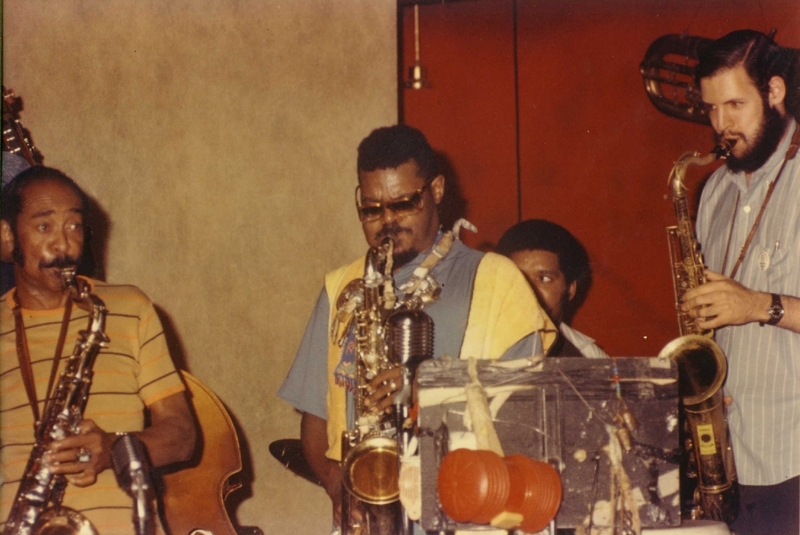 Sitting in with Rahsaan Roland Kirk in 1970. 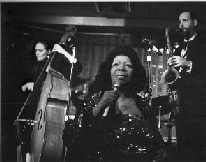 That's Don Byas on the left, Mattathias Pearson on bass and Sonny Brown on the drums. 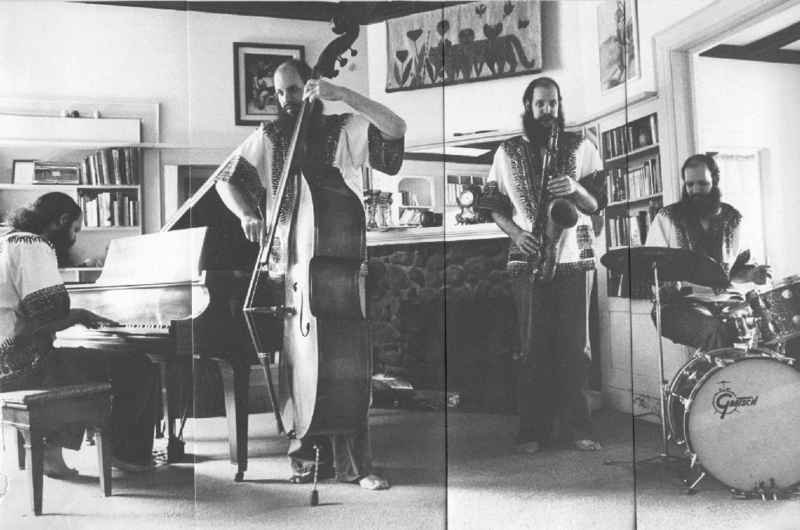 Not seen is Stanley Cowell, who was sitting in for Rhan Burton (formerly Ron Burton). Photo by Neal Graham. In 1998 with my daughter, Alice, playing my alto, and me playing my saxello. Thank you Dr Rick! Photo by Sandra Padernacht. 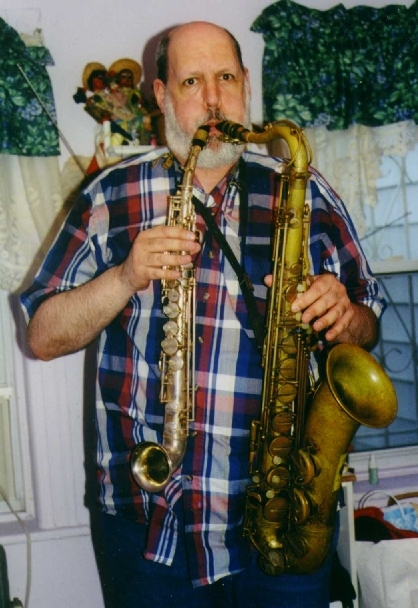 In 1998 with my tenor and saxello. Photo by Alice Loeb. December 31, 1987 with Dakota Staton. Melissa Slocum on bass. "Wild" Bill Davis was on piano and Greg Bandy on drums. Photo by Neal Graham. This document last updated on 2012-12-08 by PAL.